The cut-off period is from the first charting day of January 2018 until December 28, 2018. Watch the music videos of our Top 20 Best of 2018 songs below! 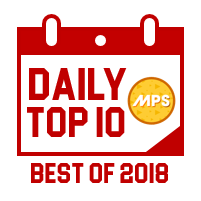 See what fans has to say about the MPS Year-End Countdown Best of 2018 results! The best song of the year goes to Julie Anne San Jose! Her debut single as a Universal Records artist, "Nothing Left" stayed on the #1 spot for 20 days (although tied with IV of Spades' "Mundo" but 12 days shorter compared to "Nothing Left"'s length of stay on the chart). Another Julie Anne San Jose track, "Tayong Dalawa" was also included on the Top 10. The highest international entry this year was from Ariana Grande. Her single "Thank U, Next" became our chart-topper only for this month of December. Overall, there were 11 OPM songs and 9 International songs on the Top 20. 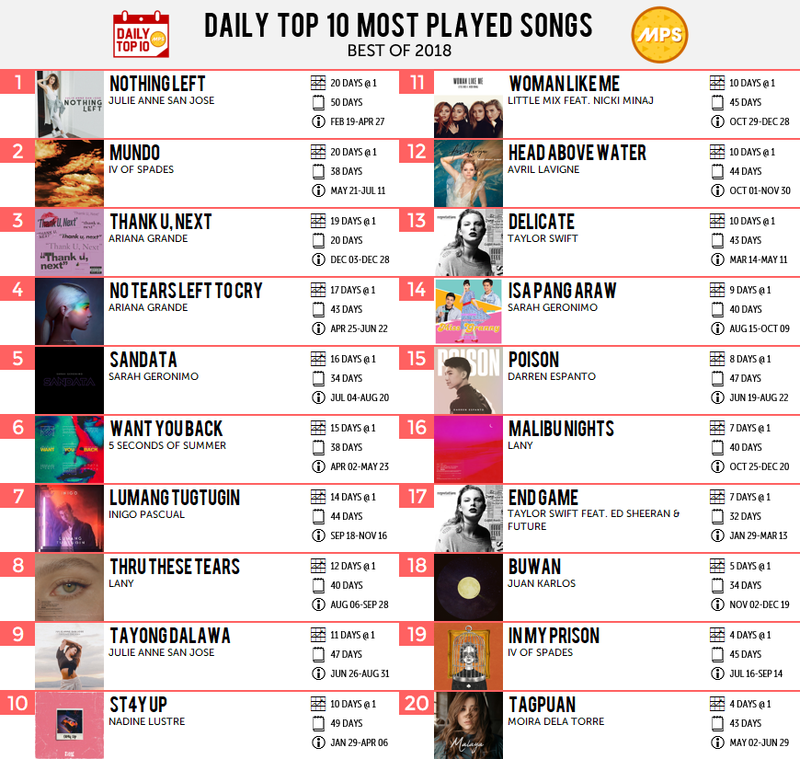 Congratulations to all the songs and artists who made it to the Daily Top 10 Best of 2018! Thank you for giving us a year worth of amazing music!